A shooter who randomly fired at close-range into a complete stranger in a Noble Park driveway has been jailed. 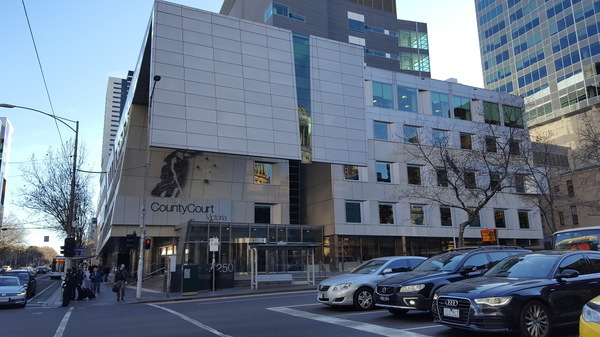 Sargis Mkrtchyan, 27, was fortunate that his victim’s right shoulder was only superficially wounded by the “brazen and callous” act, County Court of Victoria judge Paul Lacava said during sentencing on 11 April. The victim had been reversing his car from his girlfriend’s house about 11.15pm on 8 March 2016 when Mkrtchyan’s stolen car cut him off. He politely asked an abusive, drug-affected Mkrtchyan if he had the wrong house, the court heard. The accused pointed a gun at the victim, who turned around and walked towards his girlfriend at the top of the driveway. With the victim’s back turned, Mkrtchyan fired the shot. “You were not provoked in any way,” Judge Lacava noted. The shooting was a “wanton, random act of high-level violence”, explained but not excused by Mkrtchyan’s drug use. Mkrtchyan pleaded guilty to intentionally causing injury, possessing a firearm as a prohibited person as well as car theft and a petrol drive-off. In the past eight years, the seasoned criminal had spent just six months in the community, Judge Lacava said. The shooting occurred just three days after Mkrtchyan’s release from prison on a community corrections order. His lengthy criminal history was marked by violence, including armed robbery, prohibited weapons, intentionally and recklessly causing serious injury and assaults. Judge Lacava rated Mkrtchyan’s rehabilitation prospects as “poor” without any evidence of family support. If not for the accused showing some insight and remorse, those prospects would be “bleak indeed”, the judge said. It was noted that Mkrtchyan’s offending was linked to drug use. He had claimed he’d resumed meth use on the day of his release on 4 March 2016. He used typically up to 12 points a day, together with GHB. At the time of the shooting, he was dependent on both, Mkrtchyan had said. In custody, he’d gone on a methadone program. But he was a “drug addict … free of drugs but only in a custodial setting”. Meanwhile, his victim and his girlfriend and family were perhaps forever affected by that fateful night, Judge Lacava said. Mkrtchyan was jailed for up to four and a half years with a minimum non-parole period of three years. He had served 461 days in pre-sentence custody.